The book is specially designed for families to share during the Holiday Season, or for young competent readers to try for themselves. This is a beautiful ebook to treasure, with full colour images on every page. 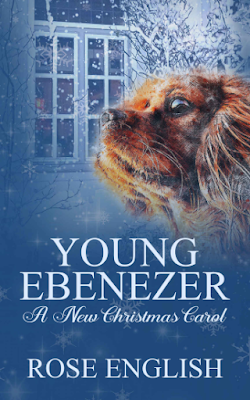 An interesting and contemporary perspective of A Christmas Carol by Dickens! 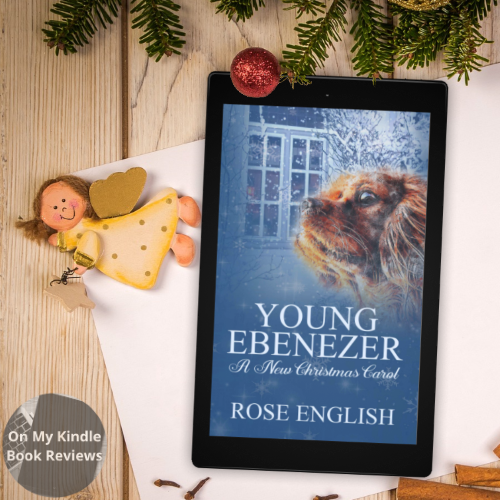 While the classic version uses ghostly guides to help Ebenezer see the error of his ways, English chose a King Charles Spaniel, Miss Ruby Heart, as young Ebenezer's guide. On his journey, Eb sees children playing outside and demonstrating how sharing, caring, and simplicity can make playtime an enjoyable experience. The images in the book are cute and mesh well with the story's lyrical quality, and English's examples of materialism are relevant and well-suited for a contemporary audience. 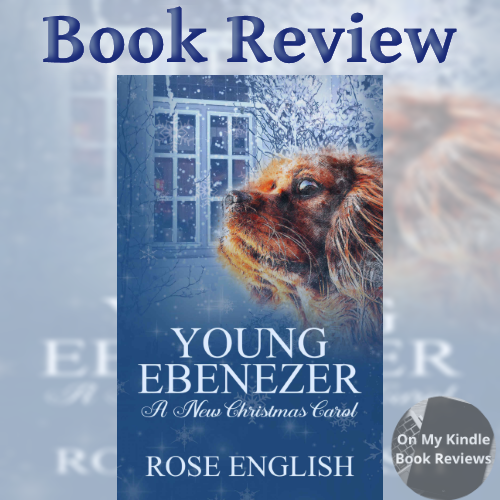 I think it's an excellent take on a timeless classic and, like its classic counterpart, Young Ebenezer: A New Christmas Carol will be a wonderful addition to a family's library. 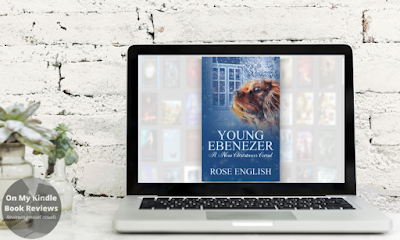 Until the end of this week, you can download Young Ebenezer: A New Christmas Carol for $0.99 on Amazon. After that, it reverts back to its regular price of $3.99. Living on 'England's Green & Pleasant Land', amongst the gentle rolling hills of the Herefordshire Countryside, Rose's house is wall to wall books. She even has a 'leaning tower of paperbacks'. Rose is a dreamer, preferring a simple & quiet life. Often spending time lone, although never lonely, being ever surrounded by great characters when lost in a good book. She loves theatre and the arts, adoring live performances on stage. Rose has very eclectic tastes. 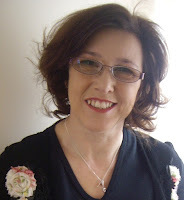 Working as a school librarian, and sharing her love of books with the children was the best job she ever had. However, life moves on and another chapter was only a page turn away. 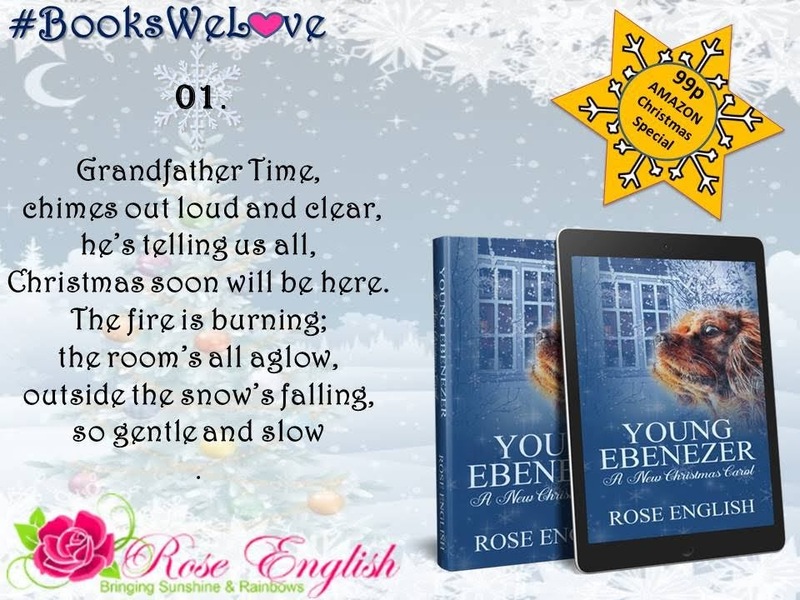 Now working in an entirely different library, in Hereford's Wye Valley NHS Trust Hospital, Rose spends her day cleaning and issuing 'Medical Equipment'. Most days she can be found walking around, with her head in a book or eyes glued to a kindle. (In all the years she has been partaking of this pastime, there has only ever been one accident, when she walked into a street lamp, but then she had been momentarily blinded by the sun. Not that there is a lot of sun in the UK). Writing for Rose has only ever really been a hobby, something she has done for many years but on reaching the half century she received a book ‘Things to do now you are fifty’ and on that list was ‘write a book’. 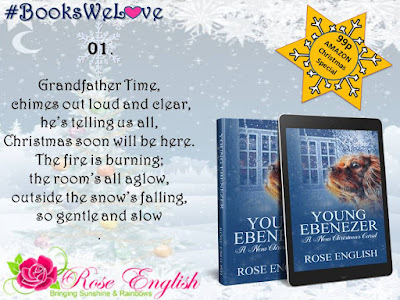 Winning second prize in a Daily Bookworm competition for the short story ‘One Breath’, then being encourage by online Facebook friends to enter a holiday DigiWriting contest and winning FIRST PRIZE with ‘The Magic of Grandfather Christmas’ Rose was inspired to turn one of the stories, if not both into full length novels. Rose English is a Read-a-holic.